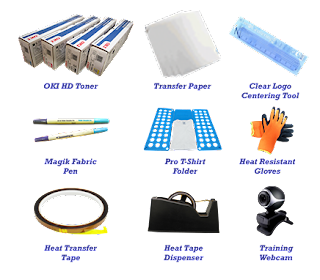 Graphics One is pleased to announce the release of its Start-up Kit for Textile Transfer Printers from OKI. This new kit is only available via Graphics One and its distribution partners. The kit includes start-up OKI toners, transfer papers for t-shirts, clear logo garment centering tool, Magik Fabric Pen, Professional T-shirt Folder, Heat Resistant Gloves, Heat Transfer Tape and Dispenser and Training webcam. The Start-up Kit comes with the following three OKI Textile Transfer Printers: Pro8432WT, C711WT and 831-TS. 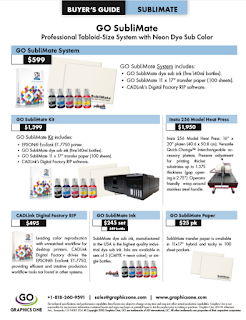 For added information regarding the GO Start-up Kits please call +1-818-260-9591, write sales@graphicsone.com or click here: OKI Pro8432WT Info.